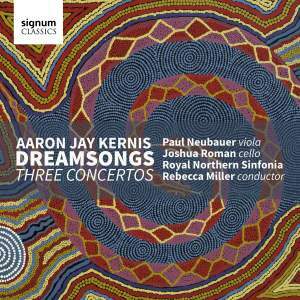 In 2013, Pulitzer-Prize Winning composer Aaron Jay Kernis wrote a concerto for Joshua - Dreamsongs for cello and chamber orchestra. Now, this moving, stylistically virtuosic piece is available on record, for digital download, and streaming. Cellist Joshua Roman takes on a new curatorial role this summer as Creative Partner of the Colorado Music Festival & Center for Musical Arts (CMF & CMA). After giving a CMF performance with pianist Orion Weiss at Boulder’s storied Chautauqua Auditorium on July 15 — comprising cello and piano works by Janáček, Takemitsu and Schubert, as well as Brahms’s First Piano Quartet — he curates a series of three concerts on three consecutive Saturdays at multi-disciplinary arts hub the Dairy Arts Center. The concerts unite leading figures from music, literature, and modern dance, in three engaging and thought-provoking programs that explore themes of identity, inclusiveness, diversity, and community. Featured artists include Pulitzer Prize-winner Tracy K. Smith and spoken-word poet, dancer, and playwright, Marc Bamuthi Joseph. Roman conducts his own song cycle we do it to one another on the first program, “Poetry in Performance,” composed to poems by Smith and performed by soprano Jessica Rivera.